How do you know when you have crossed the line? Would you even know that you had crossed the line? Mick Evans has a problem. Well, a few problems really. His childhood imaginary friend, Cavelle, has become an inner voice that torments him at every turn. If that wasn’t enough, his professional life is in tatters as a result of his attachment to Stewart, an unruly pupil. The system doesn’t suit people like Mick, people who don’t conform, people who don’t toe the line… people like Stewart Skinner. But how did it get this bad? And how do you get back when you have hit rock bottom? 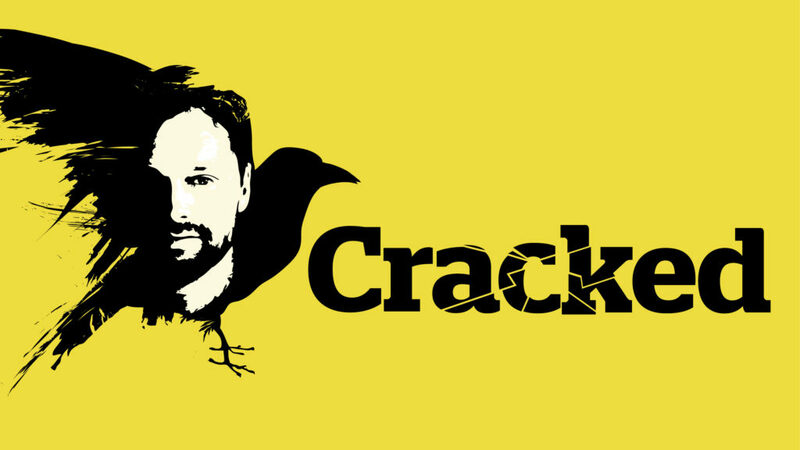 Cracked is a moving, thought-provoking play about vulnerability, mental well-being and the universal need for love. Image: A silhouette of a mans face merges into that of a crow about to take off.